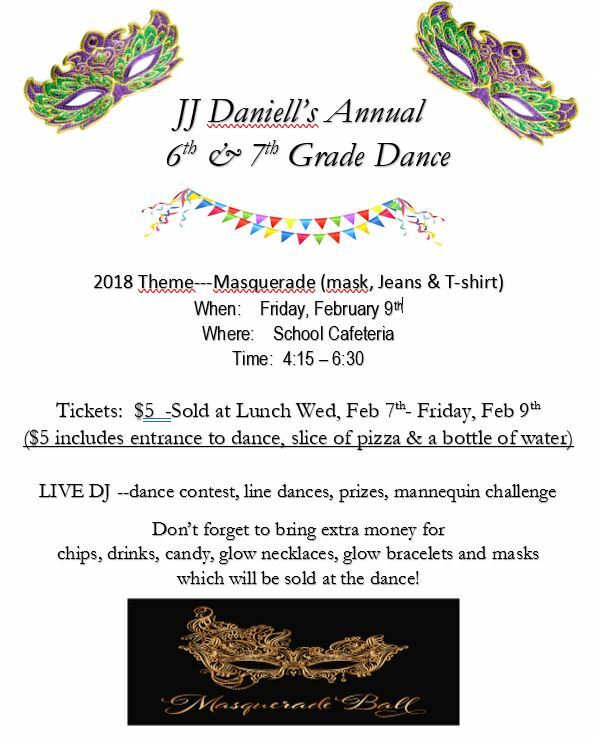 6th / 7th Masquerade Dance, Feb. 9th!!!!! Make plans Now to have your child attend the 2nd Annual 6th/7th Grade Dance on Friday, February 9th!! It’s only $5 and that includes dinner!! Make sure your child has their ticket and joins in on ALL the fun!!!!!!!!!!!!!!! Previous We are excited to announce a new Craft Show at JJ Daniell this Spring! !